Just click the image to download this free printable. I find myself looking forward to spring more and more each day. And for some reason cherries are reminding me of spring today; although, technically, you only get cherry blossoms in spring. But let's not be picky, eh? 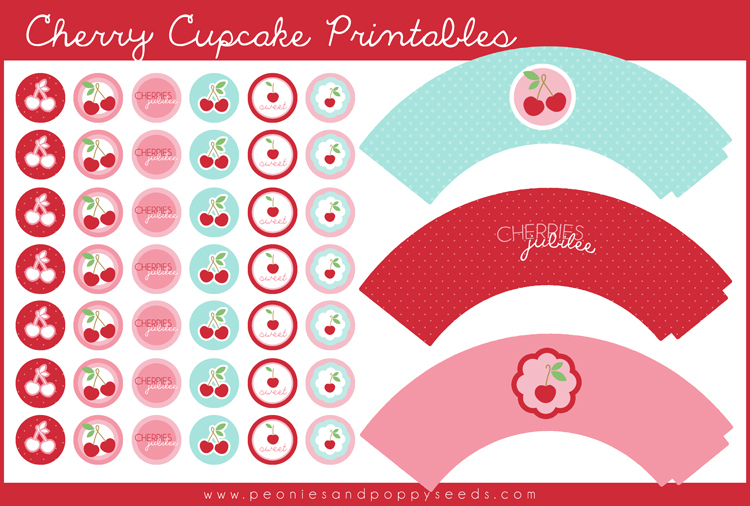 With this set you get 3 printable cupcake wrappers and 42 one inch circles featuring cherries, the words "cherries jubilee" and the word "sweet".